Premise: Some Jedi, such as Qui Gon Jinn, and Fay, do not strictly adhere to the demands of the Jedi High Council. One such instance was when Jedi Master Fay found herself being drawn to a world long since ignored by the Jedi and Sith alike, a world where she found something unprecedented, a child so strong in the force, he could only be the One to bring Balance to the Force. This is that story. - Harry must be incredibly strong in the force. Strong enough that his presence has attracted Fay to a world positively teaming with Force signatures and therefore otherwise making it impossible to sense anything on the surface. - Fay must be capable of teaching Harry in the skills necessary to become a Gray Jedi, one who walks in balance with both the Light and Dark side of the Force, capable of using both aspects without allowing the Dark Side to corrupt him. - Fay must center his training around the disciplines she knows best, which are as a Consular rather than as a Jedi Guardian or Sentinel, meaning that his skill set will be more in line with the Witches and Wizards of the planet Earth, if only barely. - One of Harry’s trials must include the collection of materials appropriate for the construction of a Lightsaber. 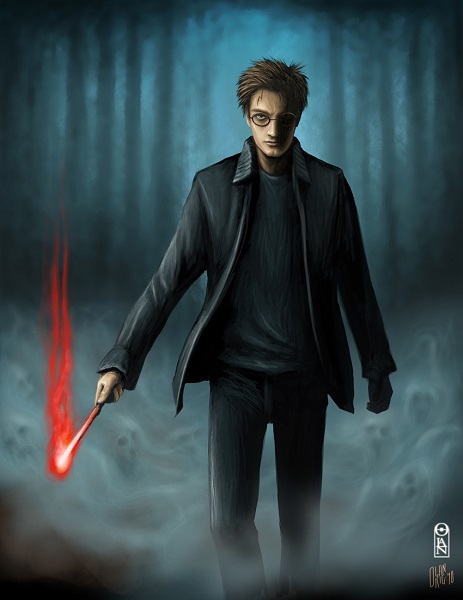 To which end, it is highly suggested he use the Philosopher’s Stone as the Lightsaber Crystal, as it is one of the few “natural” red crystals that could be used, or alternatively using the Resurrection Stone if it is obtained by that point. - If Harry does attend Hogwarts, then his trials as an up and coming Gray Jedi must center around his education at the school, with each year representing one overarching lesson. - Fay deciding, reluctantly, to remain on Earth for Harry’s training. Her reason for doing this can be entirely up to the author, but a Force Vision is advisable. - If they do remain on Earth, Fay should purchase a residence for both herself and Harry that is part of the Wizarding Community on account of the fact that it is the only place she could live without needing to go to elaborate lengths to disguise herself. - Harry managing to halt the slaughter of the Younglings during the execution of Order 66, and bringing them to a Fideliused location on Earth. - Harry halting Fay’s death at the hands of Asajj Ventress during the Clone Wars. - Harry being paired with another male. - So, when it came to determining Power Levels for this idea, I had a discussion with my M&M Gurus, and one of them came up with the suggestion that Star Wars characters, or the Jedi at least, are actually more heavily shifted towards their Active Defenses, rather than their Toughness score, making them harder to hit but making actually dropping them in a fight easier should you manage to successfully hit one. I took that notion and have built the characters accordingly. - Voldemort's build, and therefore Quirrell's, is largely unchanged from the build I made for him in the "The Hraesvelgr Chronicles." I am also treating Quirrell basically as a PL X character for purposes of determining how and when he is defeated, as under normal circumstances no PL 8 player character could defeat a PL 12 character on their own. Last edited by DalkonCledwin on Wed Feb 06, 2019 3:53 am, edited 1 time in total. - Enemies: Going hand in hand with the below mentioned prophecy, Harry's enemies include the Dark Lord Voldemort himself, as well as said Dark Lord's minions, the Death Eaters. His enemies will also include the Sith, when it becomes known that Harry has existed in seclusion from their meddling's and has the potential to destabilize everything that they have worked towards these past many years. 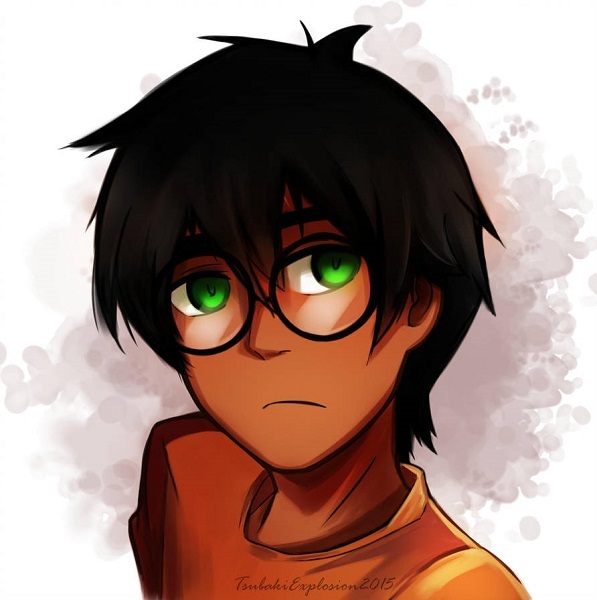 - Fame: Harry is famous within Wizarding Britain on account of something that his mother succeeded in doing rather than what Harry himself managed to accomplish. He is famous for the defeat, temporary though it will prove to be, of the Dark Lord Voldemort. - Honor: While he is being trained in the ways of the Gray Jedi, Harry still has been taught to honor the Jedi Code in so much as it is beneficial for him to do so. - Motivation: Doing Good: Harry strives always to do good things in the world, using his powers to help his fellowman as best as he is able. - Prophecy Bound: Harry is bound by at least one, possibly two, prophecies. The one that he is definitely bound by is a prophecy stating that he is the only one who can ultimately defeat the Dark Lord known as Voldemort. Another prophecy that he might be bound by, is one which could indicate him as being the only one to restore balance to the Force now that it is no longer in balance. - Relationship: Harry is the Padawan Learner to Jedi Master Fay, a woman that Harry has come to view almost as though she were his own mother. This is in spite of the fact that he does know who his mother happens to be and what she sacrificed for him. Build Comments: Okay, here we have Harry as he would be as a Padawan in his first year of Hogwarts. Please note, he has a Training Saber. Such a thing is DIFFERENT from the final finished product that a Jedi develops as part of the process towards becoming a Knight. It is also worth noting, this build is actually within a playable budget... though new players might struggle with the Variable Effect. Last edited by DalkonCledwin on Wed Feb 06, 2019 7:56 am, edited 1 time in total. Measurements: 33C / 23 / 31 in. - Fame: Fay is one of the most famous Jedi in the universe, due to the fact that she has touched so many worlds and so many lives. While few living today have ever seen her, she is remembered on virtually every world in their songs and stories. - Honor: Fay follows the code of the Jedi Order as closely as she can, despite the fact that she hasn't seen the temple proper in over 300 years, or the fact that she happens to be instructing her Padawan in how to utilize both the Light and Dark side of the Force without allowing himself to become corrupted by it. - Motivation: Doing Good: Fay does what she can to make the universe as a whole a better place just by living among the people, rather than staying apart from the people the way the other members of the Order tend to do. - Prejudice ~ Our Elves Are Different: Fay looks for all the world like a doppelganger of Lady Galadriel from Lord of the Rings. The main difference is that she has a tattoo on the left side of her face. She definitely isn't lady Galadriel though, since Fay happens to be from outer space! That won't stop certain bigotted fools from making an issue of her species though. - Quirk: While Fay does have a Lightsaber, she generally refuses to draw it under any circumstances save for the purpose of training her Padawan in how to utilize his own Lightsaber. She much prefers to rely upon the Force or else to use diplomatic methods to solve her problems. 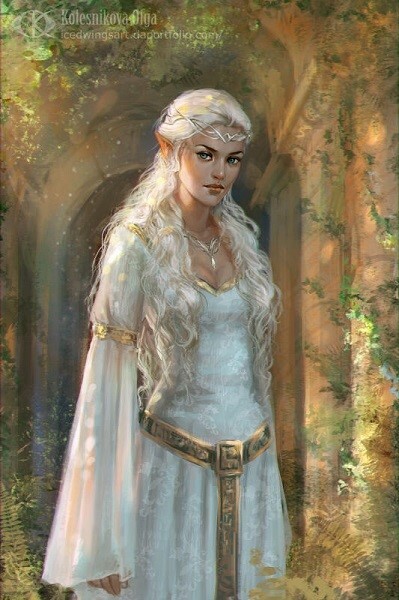 Build Comments: Yeah, I couldn't find an image I liked of Fay herself, so I decided to play up the "looks like Galadriel" thing a friend of mine mentioned. This is what came of that. 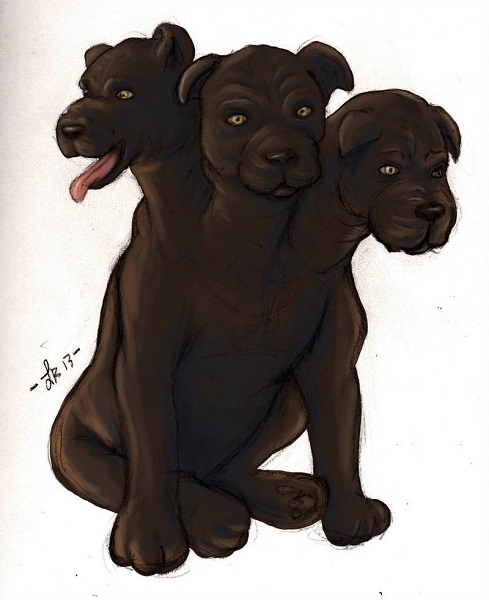 - Motivation: WWHD: Hufflepuffs like Susan tend to have a very pack-minded mentality, always doing what is best for the collective, rather than what is best for the individual. Therefore they are very well suited towards the Jedi mentality, more so than any other group. The will still however ask themselves "What Would Helga Do?" before starting on the road towards any task or achievement. - Power Loss: Without access to her wand, Susan is currently incapable of using any Force techniques. 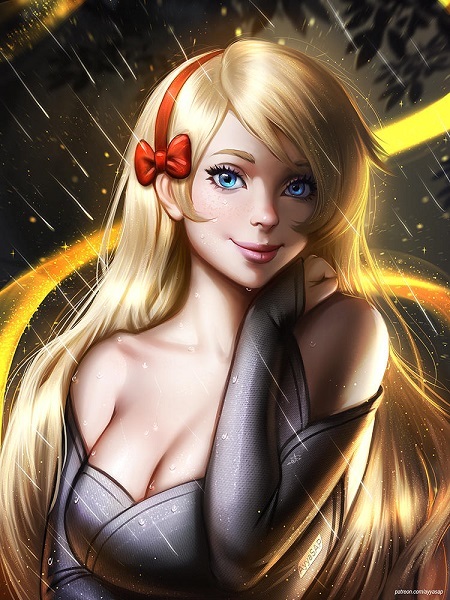 - Relationship: Susan is the niece of the current head for the Department of Magical Law Enforcement, and also the best friend of Hannah Abbott. Build Comments: First off, I couldn't be bothered trying to find a different picture of the girl that is age appropriate, so imagine what the image above would look like at 11 years of age. Nextly, this is Susan as she appears at the age of 11, having just left pre-Hogwarts education as a Witch, and thus, she is totally playable. Also, my heights and weights for the eleven year olds versions of these characters probably aren't going to be reflective of real people, so don't yell at me about that. 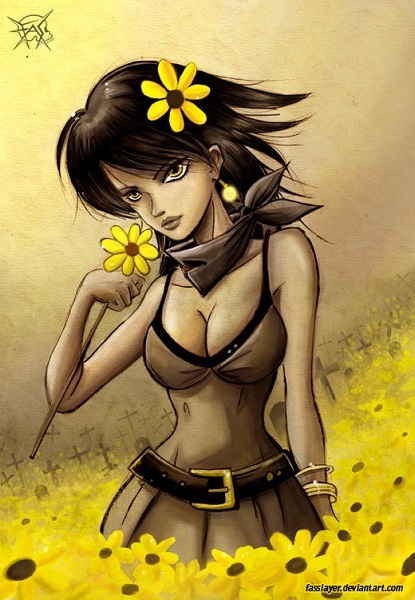 - Motivation: WWHD: Hufflepuffs like Hannah tend to have a very pack-minded mentality, always doing what is best for the collective, rather than what is best for the individual. Therefore they are very well suited towards the Jedi mentality, more so than any other group. The will still however ask themselves "What Would Helga Do?" before starting on the road towards any task or achievement. - Power Loss: Without access to her wand, Hannah is currently incapable of using any Force techniques. - Relationship: Hannah is the daughter of Karen and Jacob Abbott, and the best friend of Susan Bones. - Temper: Hannah has a bit of a temper, which is odd, considering you'd expect Susan to be the one with the volatility out of the two of them. - Weakness: Music, even badly played music, will immediately put Fluffy to sleep (as per the "Asleep" condition). 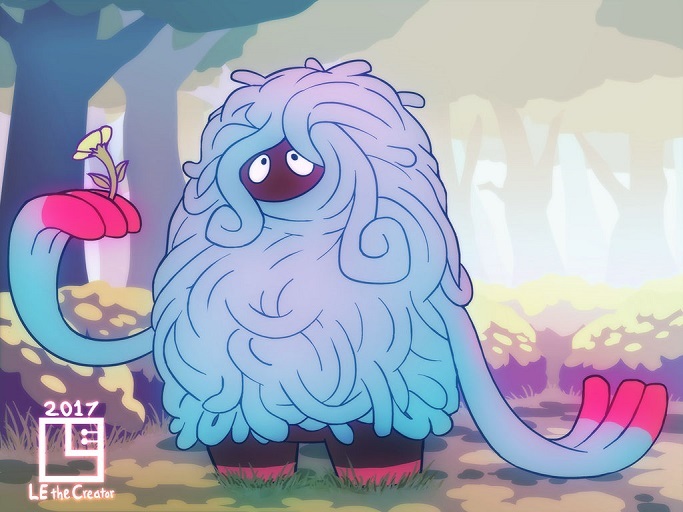 Build Comments: Did someone order a giant three-headed bundle of fur? You will note, Fluffy has absolutely pathetic attack rolls. I did this on purpose. That is because even in the movies, people kept coming to see him and getting away mostly unscathed. It is worth noting, that the Rend attack incorporates at least two heads, and thus is not a candidate for the Multiattack variable. Unarmed strikes, Bite and Grab all are though. - Disability: Devil's Snare have no hands and cannot speak. - Obsession: Devil's Snare will automatically attempt to kill anything which touches it, regardless of what that thing is. The only surefire way to avoid this fate, is to not move once you make contact with the stuff, or else to bombard it with high quantities of light. 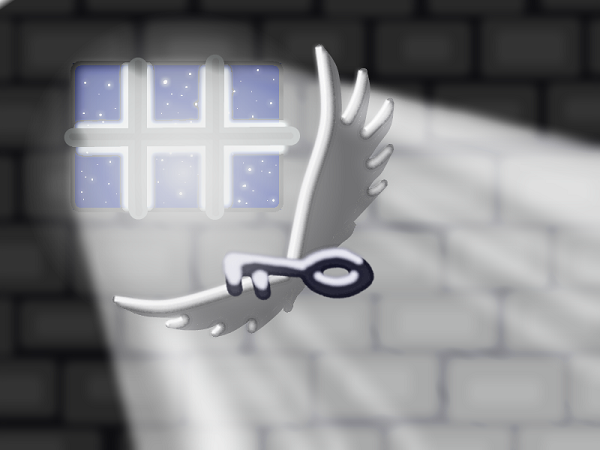 - Weakness: Devil's Snare is Defense Disabled against attacks with the Light and Radiant descriptors. Why the Placeholder Image: Can you imagine how quickly the first Harry Potter novel was pulled from the shelves of every children's book store in Japan? Or at least, I want to hope it was after reading about this thing. This wasn't actually all that hard to build. It is almost verbatim the Assassin Vine in D&D. - Disability: These particular Wizarding Chessmen cannnot speak. - Honor: Whichever side that is aligned with the PC's will obey their commands unquestioningly. Or at least they will if those commands are given in a proper Chess format. - Disability: A key cannot speak and has no hands. - Obsession: the swarm of keys will attack anyone who touches the correct key. Build Comments: To represent just a single key, simply remove the Cloud Area and Selective extras from the Key Strike power, and remove the Swarm Form powers. A single key costs 62 Power Points instead of the 85 Power Points that the entire swarm costs, causing it to have a Minion Rank of 5, and a Sidekick Rank of 13. - Infamy: Trolls are savage, cannibalistic giants. - Prejudice: "Trolls are really dumb." Build Comments: Trolls encountered in the wild are almost certainly not going to be minions. However the one that the Golden Trio fought in their first year was CLEARLY a minion if it could be dropped with a single solid whack upside the head. 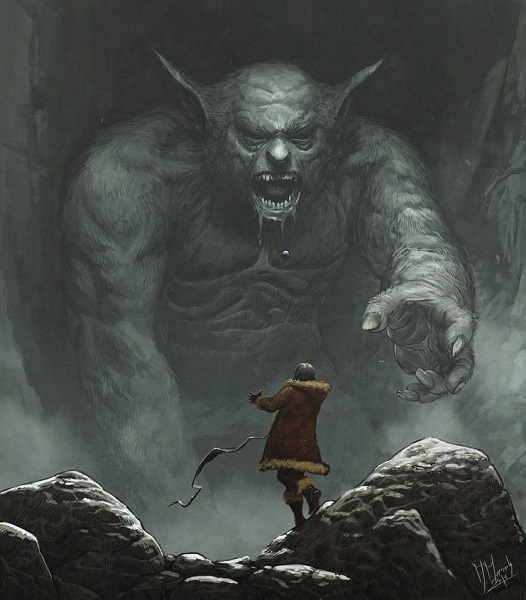 Also, continuing with the comparisons to Lord of the Rings, I went with a lot more intimidating an image for the Mountain Troll in this scenario. Measurements: 34C / 23 / 34 in. - Curse Sworn: As a Hogwarts Professor, Pomona is oathbound to obey the orders of the Hogwarts Headmaster, and above him, the orders of the Hogwarts Board of Directors in how she conducts herself around the student body. This can unfortunately lead to situations where she is forced to say or do something that goes against what she believes is the right of the situation. - Motivation: Doing Good: Possibly more than any other Hogwarts professor, Pomona believes in doing what is right for the simple reason that it is a good thing to do. This is a hallmark of pretty much every Hufflepuff. She doesn't so much care about the methods by which the right thing is accomplished, so much as that the right thing gets done by the most efficient method possible. - Power Loss: If Pomona can't perform the necessary hand or wand gestures, she cannot enact any Force Techniques. - Relationships: Pomona is a very devoted protector of her Badgers in Hufflepuff House, and is willing to wage proverbial war on the other three Heads of House should she feel one of them is being endangered. She was also the first Hogwarts professor to meet Jedi Master Fay and her ward since their return to Wizarding Britain, and has since earned a considerable friendship with the pair. - Merged Potterverse/Nasuverse setting. 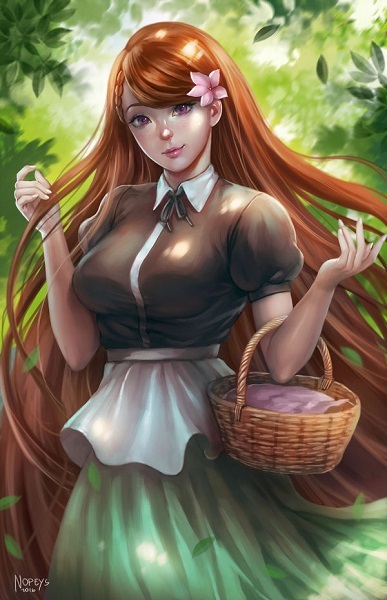 Witches and Wizards are basically the same thing as what Alice Kuonji was, only with more organization than she benefited from, and without the curse that she thought she was living under with regards to her love life. - Laeticia Delacroix is both the human vessel of Jeanne d’Arc (the Ruler from Fate/Apocrypha) and a student at Beauxbatons Academy for Magic. - Due to one circumstance or another, Harry Potter becomes friends with Laeticia in one of two ways: He meets her during the Triwizard Tournament, or he attends Beauxbatons instead of Hogwarts School of Witchcraft & Wizardry. - When Laeticia willingly becomes the vessel of Ruler, Harry must decide to accompany her to Romania to ensure Laeticia’s safety, thereby getting embroiled in the Great Holy Grail War as Ruler’s Guardian. - Wrong Boy (or Girl) Who Lived Story. - Ruler granting Harry the attributes of a Heroic Spirit, thus making him a Pseudo or Demi-Servant in order to better protect her. - Harry actually being the reincarnation of one of Jeanne’s supporters (preferably not Gilles de Rais), and even has the Noble Phantasm of that individual if applicable. - During the confrontation with Jackie, instead of Ruler exorcising her, Harry manages to win Jackie’s allegiance as his Servant, thereby preventing Atalanta from going insane. - Any combination of the above, along with a couple Potterverse girls. - Harry in a relationship with a male character. - Fame: Harry is quite famous within the magical communities of the world as the one who managed to finally defeat the Dark Lord known as Voldemort. He was also instrumental in the dismantling of said Dark Lord's terrorist organization, and is such famous for that as well. - Relationships: Harry retains a firm loyalty to past friends, such as Hermione Granger and most of the Weasley's, although certain members of that family have proven themselves disloyal in the past year. He is also the boyfriend of Laeticia Delacroix. Last edited by DalkonCledwin on Fri Feb 08, 2019 3:21 am, edited 1 time in total. I like your various takes on Harry and the Potterverse. Keep up the good work. Measurements: 33D / 23 / 34 in. - A-cup Envy: Sort of at any rate. 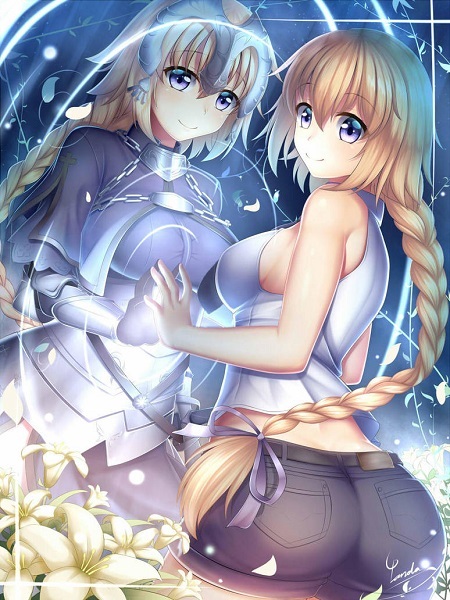 It turns out that Jeanne's breasts are a little bit smaller than Laeticia's, and that the process of inhabiting the latter's body hasn't allowed her to keep Laeticia's proportions. - Fame: "Whatever thing men call great, look for it in Joan of Arc, and there you will find it." ~~ Mark Twain in "Personal Recollections of Joan of Arc Volume 2"
- Honor: "Kindness, Humility, Honesty, Purity, Faith — the Maid's heart carried only these things and nothing else." ~~ Mark Twain in "Personal Recollections of Joan of Arc Volume 2"
- Identity: Ruler's True Name is Jeanne d'Arc, the Saint of Orleans. A Catholic saint born in Domrémy, France, and the heroine of France who liberated Orléans in the Hundred Years' War. Much like every other Servant, this is information that she must try to keep a secret. - La Pucelle, the Crimson Saint: La Pucelle is a Noble Phantasm that Jeanne can use to defeat any enemy no matter what that enemy happens to be. However using that Noble Phantasm costs Jeanne her life. Fortunately, while it will kill Jeanne to use this Noble Phantasm, it will not kill Laeticia at the same time. There are no stats for this Noble Phantasm because it is effectively a Power Level X weapon. - Motivation: Responsibility: Ruler has pledged to uphold the teachings and ideals of her deity, the one true lord in heaven, and to defend France with all that she is. Even now, as a Servant, she feels obligated to attempt to uphold the first half of that pledge. - Saintly Aura: As a Saint, Ruler has an aura of good that is detectable by the mystical senses of others. Measurements: 33E / 23 / 34 in. - Curse Sworn: Out of all the people in the world, Laeticia was the one whose soul was in closest harmony with that of Jeanne d'Arc when it came time for the Great Holy Grail War to begin. It was for this reason that she agreed to allow Jeanne to use her as a vessel during the war. the problem with this, is that it also means that Jeanne is the dominant personality, and it also puts Laeticia in grave danger for the duration of the war, which is why her suicidally overprotective boyfriend demanded to accompany both her and Jeanne during the war. 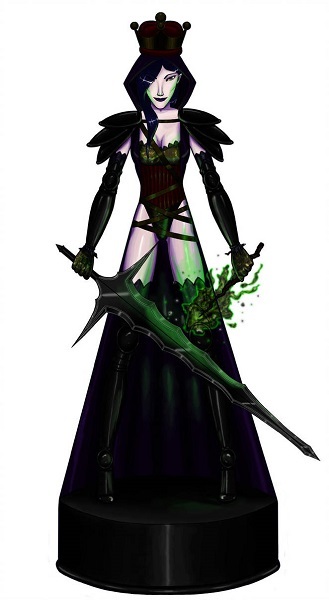 - Honor: Despite being a Witch, Laeticia is a very devout Christian and will do all in her power to live according to the virtues associated with proper Christian ideology. This includes waiting until they are married before being intimate with Harry. - Motivation: Shipper on Deck: Laeticia would very much like it if her boyfriend and Jeanne could be as happy with one another as she and Harry happen to be with each other so that they could all be one big romantic group couple. - Relationship: Laeticia is the girlfriend of Harry Potter, the Boy Who Lived and Man Who Conquered. - Rivalry: With both Fleur Delacour and Ginevra Weasley. Both young women want what Laeticia succeeded in obtaining, and that is the heart of Harry Potter. Ironically, Laeticia gets along a whole lot better with Gabrielle Delacour on account of the fact that the younger Veela is open to sharing. Build Comments: The two weights in parenthesis is what I personally feel would be a realistic weight for someone of this character's height given her voluptuous figure. I really do feel Type-Moon undervalued her weight when they gave her one of 97 lbs.